Recently, the idea of a user-activated soft fork (UASF) has gained some attention as a possible alternative to the current, miner-focused activation method for Segregated Witness (SegWit). 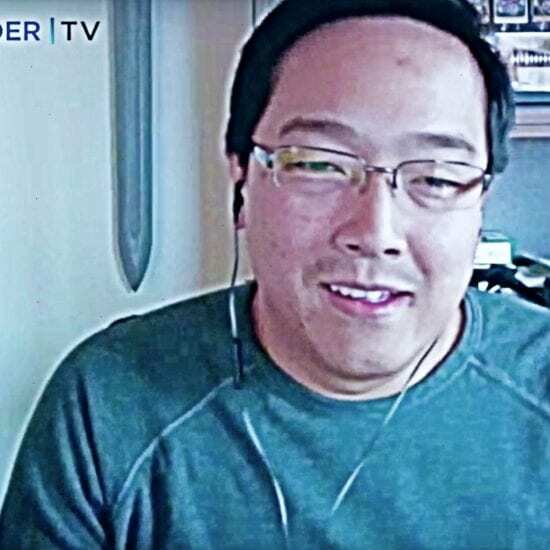 Thus far, opinions on the original proposal from the pseudonymous shaolinfry are split, and official endorsements of the proposal from important players in the bitcoin ecosystem are sparse. 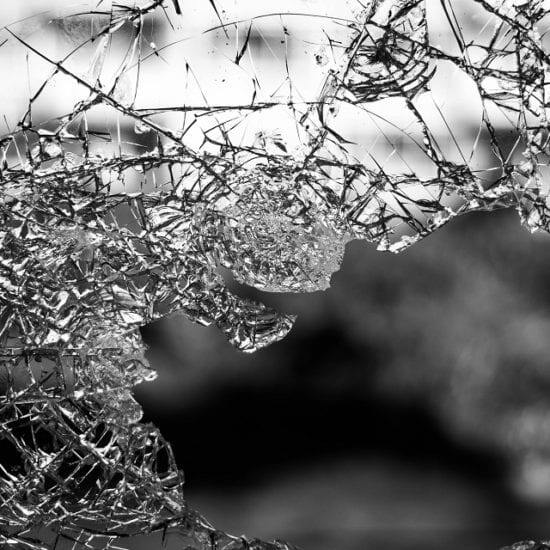 Some have pointed to a potential chain split caused by miners as a potential downfall of this proposal, while others still see it as preferable over a hard fork. Let’s take a closer look at what a UASF could mean for Segregated Witness’s activation prospects, which currently has roughly 25 percent of miners signaling preparedness for it. What is a User-Activated Soft Fork? A UASF fork is a soft fork where activation is set by a flag day rather than signaling from miners on the network. If there is sufficient support from the economy for a particular soft-forking change to bitcoin, the change can be implemented by developers and supported by those operating bitcoin full nodes. In the early days of bitcoin, creator Satoshi Nakamoto implemented multiple changes via these kinds of time-based soft forks with flag day activation. One of the key components of UASFs is that they’re intended to be optional for miners and users. As long as a majority of miners decide to reject blocks that are invalid under the new rules, those who wish to use new features implemented via a soft fork can do so and those who do not wish to use those features can stick with the old version of the protocol. Having said that, things can get a bit dangerous when miners are not interested in allowing users to opt into a new, soft-fork enabled feature set. What are the Risks of a User-Activated Soft Fork? The worst case scenario of a UASF is the same as the best case scenario for a hard fork. If a majority of miners decide they do not like the new features implemented via a UASF, they can essentially force a split of the bitcoin network into two chains. 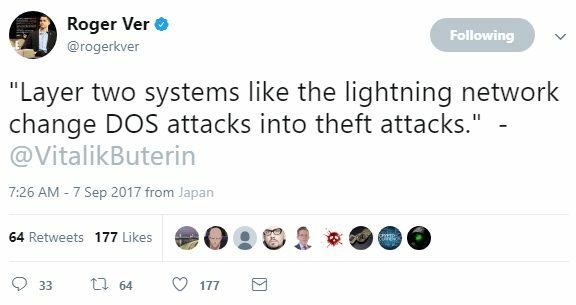 This is the same thing that happens by default when a hard fork is attempted. For most people, the point of preferring a soft fork over a hard fork is to prevent these sorts of chain splits. While soft forks also have their potential downsides, such as security degradation for non-upgraded nodes, the fact that a chain split can be prevented with this upgrade mechanism is what makes it preferable over other options in the minds of the most active Bitcoin Core contributors. So how could a chain split happen in the case of a user-activate soft fork? As long as a majority of miners are playing nice, nothing should go wrong. Users will be able to opt into the new features and everyone will remain on the same chain. However, things can get problematic rather quickly if a single miner decides to mine a block that is valid under the old rules but invalid under the new rules. If a majority of miners have not adopted the soft fork or are not at least rejecting blocks that are invalid under the new rules, then a chain split could result from a single miner’s inclusion of a transaction invalid under the new rules in a block. The point about miners having the option to simply reject blocks that are invalid under the new rules is key; they don’t have to actually adopt the rules of the soft fork for it to activate. In this way, miners are essentially just making sure the change is backwards compatible and helping to ensure there is not a chain split where non-upgraded users are left behind on the wrong chain. In the chain split scenario, nodes that adopted the soft fork and nodes that did not adopt the soft fork would essentially find themselves on two different blockchains and currency networks. Should Segregated Witness Be Implemented via a User-Activated Soft Fork? It’s difficult to say whether a soft-forking or hard-forking change should be adopted by Bitcoin because it’s not easy to get useful data related to the level of support these sorts of changes actually have among speculators and users. As mentioned above, soft forks are generally better at preventing chain splits than hard forks because they’re backwards compatible, but things get trickier when miners are not on board with the requested change. In this sense, it may be true that UASFs are more of a safer alternative to a hard fork than anything else. This doesn’t necessarily mean they’re safe – just safer than a hard fork (in terms of preventing a chain split). If it’s clear that 95 percent or more of the network are in favor of a soft fork, then it may be a useful alternative to a hard fork. It would essentially be a way for users to force miners to implement the requested change while also avoiding a hard fork (and therefore a chain split). The incentives of a UASF with proper support from the economy are such that the profit motive should incentivize miners to adopt the changes users would like to see on the network (or at least reject blocks that are invalid under the new rules). If the change has near universal support from the economy, then miners will not want to mine on top of blocks that are invalid under the new rules. If they do that, they’re basically mining a chain that will be less profitable for them. If 90 percent of the economy is following the new rules, then 90 percent of the hashrate should ignore blocks invalid under the new rules and not mine them – at least in theory. This would keep everyone on the same chain and avoid a chain split. Of course, it if was a seriously contentious UASF, then non-upgraded users may decide to fork to a new chain anyway. It should be remembered that UASFs are not a useful way to implement contentious changes to Bitcoin. 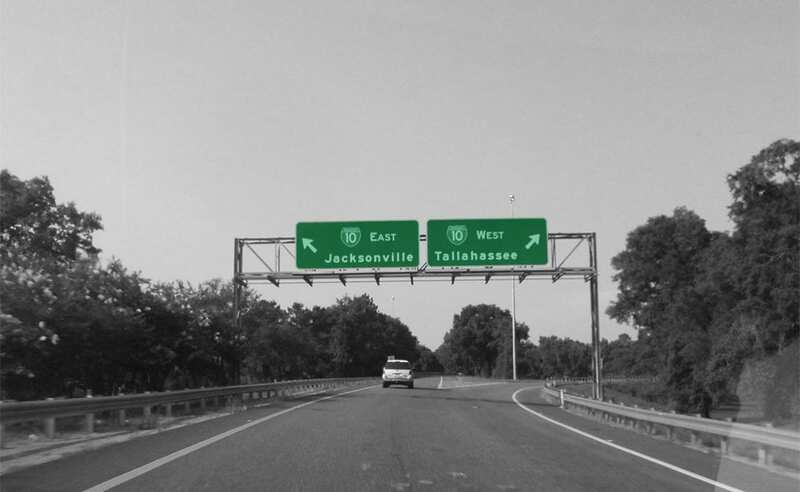 Contentious changes to the protocol will often lead to the creation of two separate chains rather than an upgrade for the original chain no matter how they are implemented. 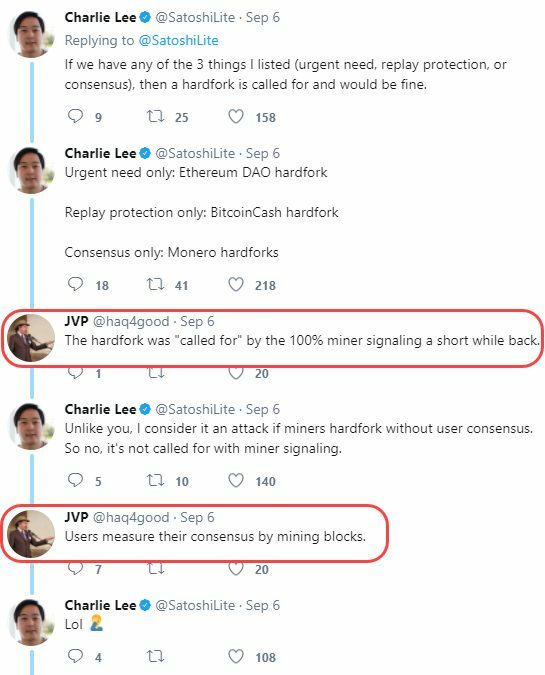 The UASF is simply a useful option in a situation where the economy has consensus on a change but the miners have not implemented it for whatever reason. A UASF may still be a somewhat risky endeavor, so it’s unclear if users will make a serious push for it anytime soon. It’s possible that users will force the issue in a situation where the risks of doing nothing outweigh the risks of implementing Segregated Witness via a UASF. “I don’t post on Reddit” was my unofficial motto while browsing Reddit, until one day I was compelled into lecturing some person over why our grandmas won’t be securing their own private keys. You’re right. The fact that I’m posting on Medium means nothing. It’s just the name of a website, with features that allow me to represent myself in the way I wish to be represented in this moment. Therein lies the underlying topic at hand. I said “Medium” but what I meant was the avenue that Medium happens to provide for me at this moment. Allow me to reiterate: I said Bitcoin, but what I meant was the avenue that the current state of the protocol many of us refer to as Bitcoin happens to provide for me… as a user. It’s a great endeavor, and I wish them the best of luck, but I personally don’t see our grandmas running full-nodes. What percent of the total population are grandmas? 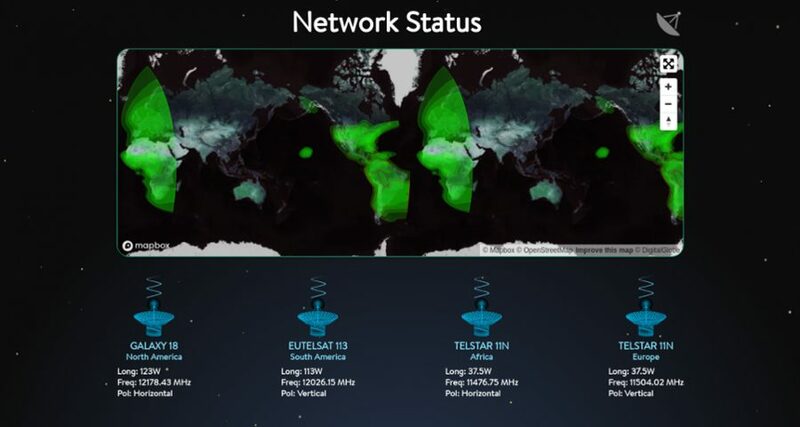 By the time they’re all running full-nodes we’ll all be assimilated into the singularity running our spinal-tapped full-nodes over a wireless decentralized global Internet. Sounds like fun. This picture serves no purpose other than to not dump you with a big wall of text. Can you personally envision a world where most people run a full-node? Elaborate on the intricacies of your mother’s day-to-day life while she runs a full-node. Tell me everything she did in a single day, and where was the full-node in these situations? Did she bring it with her to go shopping? What is “most people”? 51% of 7 billion? 90%? Are we including children in the total percent? Does this, or does this not count all the automated robots that will be walking around with their own full-nodes built into their [bio? ]mechanical bodies? The most plausible scenario for the near future circa the “mass-adoption tipping-point” is one on every persons phone. Is that really secure? Who’s building those clients? Will Apple have their own built-in-walled-garden hardware version? Will they point all those built in clients to a seed node on their server? What implications would that have? Is it really even plausible? 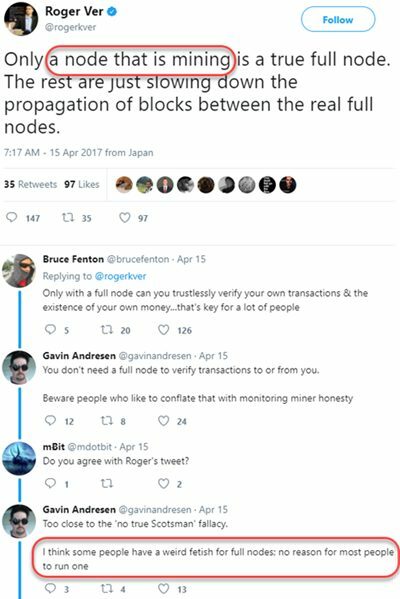 All of those questions are legitimate questions, but while they are legitimate, they are a distraction, because having as many full-nodes as possible is imperative to Bitcoin, and focusing on the numbers completely misses that point. Well, actually… no it’s not. It’s imperative to me, it’s imperative to most of community, and it’s imperative to most of the developers paving the way for this technology right now. The Bitcoin doesn’t care. 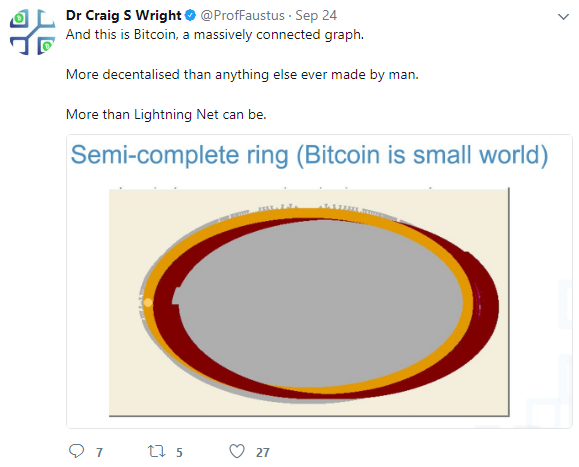 See how they attempt to differentiate between full-nodes that mine and those that don’t? 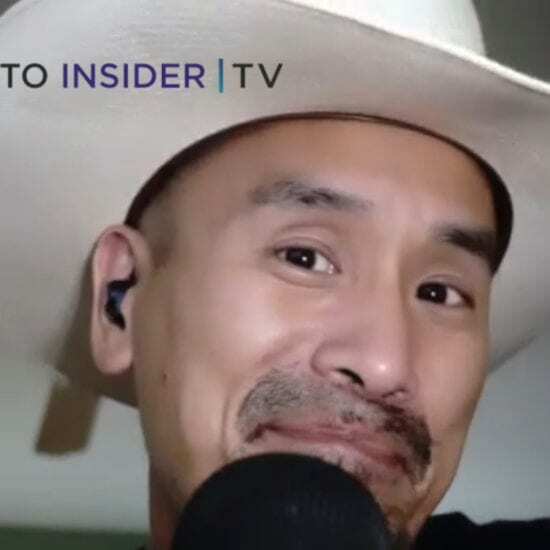 Through misinformation, and use of the tactics I used in the earlier paragraph (asking legitimate, but redirecting questions), they’ve been successful at garnering a following, and full-nodes are not imperative to that group that follows them either. 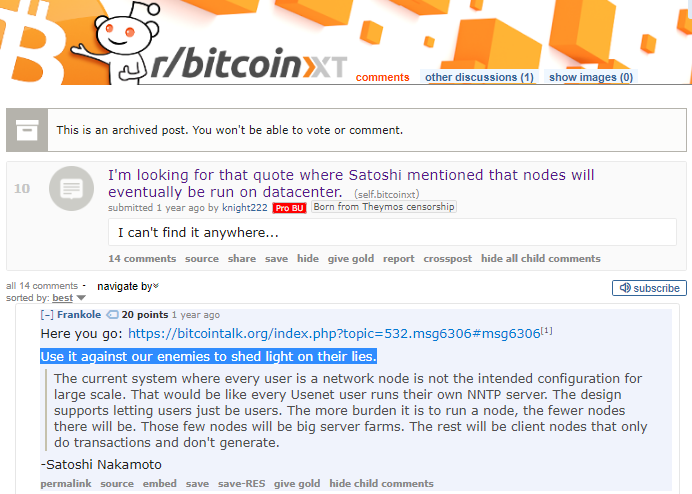 We’ve all heard the Satoshi datacenter quote ad-nauseam. Have you heard it yet? Notice the dates on those posts? 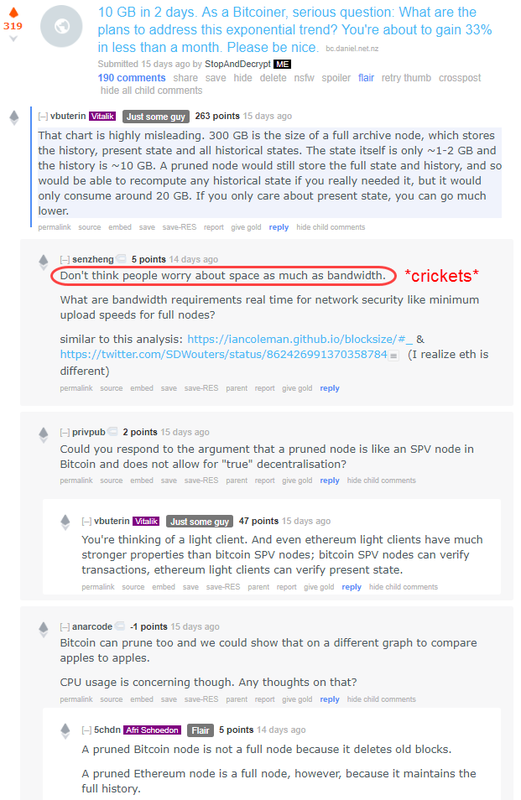 Roger Ver knows full well about the Raiden Network (Ethereum’s Lightning Network) and Vitalik’s support for it, yet he still uses quotes older than (presumably) 1.5 years ago, to instill this nonsense into the minds of the constantly growing set of new & uninformed people joining this community. This type of propaganda isn’t going to go away. Did you notice the ‘Pro Bitcoin Unlimited’ tag I have for the user in the old Bitcoin-XT subreddit? Same campaign, different flag: Take control of the network. Take control of the name Bitcoin. This is an ongoing propaganda campaign that needs to constantly be shot down. New people coming into the community don’t know the history, they don’t know the ideology, and they don’t know about the reoccurring tactics these groups use. 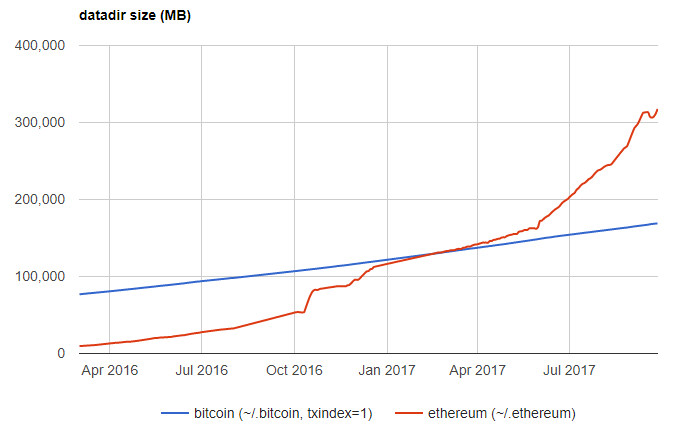 If they wanted no block-size they could’ve went to Ethereum, if they don’t care about the average users ability to run a node diminishing over time, they could go to Ethereum. 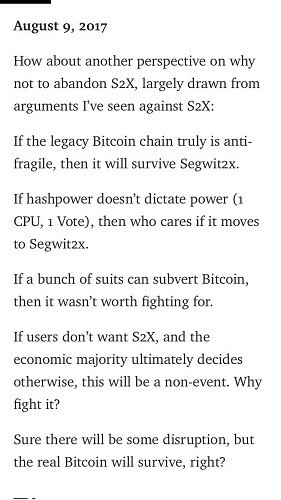 Or they could go to Bitcoin Cash… but somehow they still push Segwit2x after already getting their fork. ProTip: It’s because they don’t really want Bitcoin to succeed. They are dividing, and attempting to conquer. For reference, here’s the two links /u/senzheng provided: 1, 2. 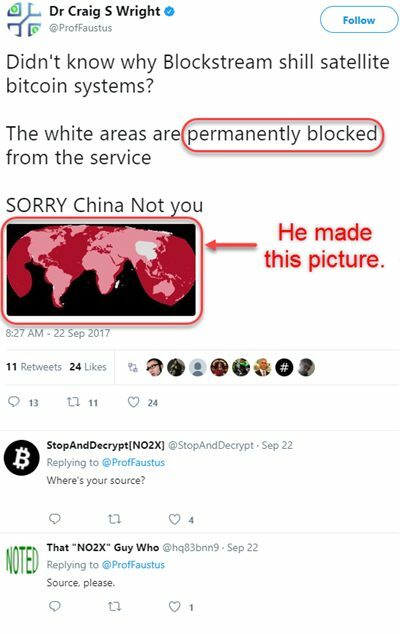 The issue is mentalities like these bleed over into the Bitcoin community and cause divides that lead to an obvious fallout: Chain splits, and the fight over the title of The Bitcoin. How much weight do your ideologies really hold against the 7 billion people who have no idea what we’re even talking about right now? 7 billion people who are easily influenced by misinformation. Are you prepared to publicly make the claim that 7 billion people don’t know what they’re talking about, and that they should be listening to you? So what exactly does the name ‘Bitcoin’ mean? Do you think Austin knew about the USA Patriot Act that Congress signed into law less than a year from when Scholastic asked children to send their opinions in? Also notice how Austin said “America”, but what he meant was the avenue that the current state of his country provides for him as a citizen to play sports and eat lots of food? Not really, but do you get the point? Sparing any 1984 analogies, what happens to the definition of America should sports and excess food no longer be an option for Austin? What happens to the title his ideology currently goes by? What will represent freedom in 500 years? What does it mean to be a Roman? 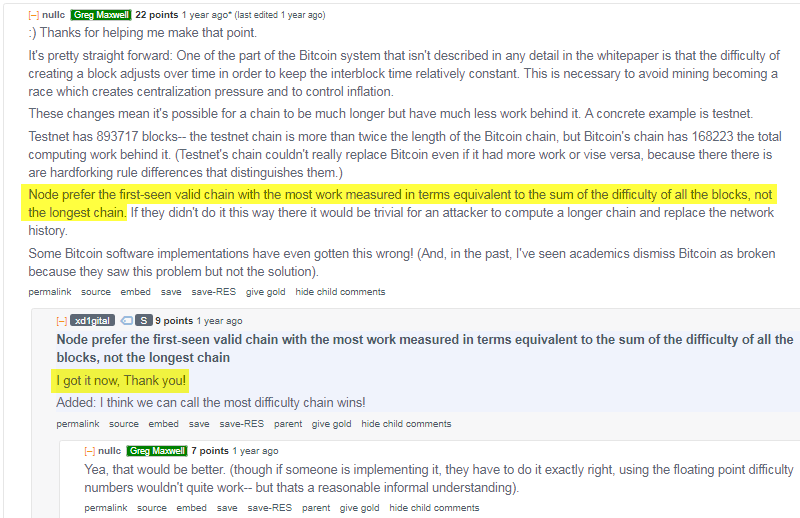 First and foremost let’s actually address the technicalities of the above argument: Chain reorganizations are not protocol changes, and the phrase “longest valid chain” refers to the former, not the latter. See what I did there? I mirrored the response of someone who either didn’t get the point (don’t worry, we’ll get there), or is ignoring it and just trying to leverage their argument for the fork of their choice with arbitrary technical merit. Yes, arbitrary technical merit. I could name some Core developers who wouldn’t be too happy with that statement, despite the fact that I’m on their side, but I don’t care because it is arbitrary, given the overarching point. Let me make this clear: It doesn’t matter what stance you take on any proposal, if you do this you either don’t get it or you are being deceptive. In other words: Technicalities don’t define The Bitcoin. Social consensus does, because language is an inherently social construct. Furthermore, my ideology doesn’t define The Bitcoin either, because social consensus may not always align with what I currently want out of all of this, or my ideology might change in the future. This a blatant admission of my point about deceptive tactics. Using the block size to spur division among the community when the reality is they want to take control away from the developers. On top of all of this, Vinny is a proponent of Ethereum and the CEO & co-founder of a company with a token on the Ethereum network. Can you guess where his incentives align? 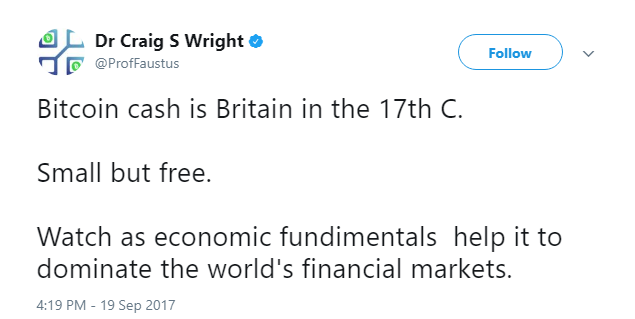 Don’t you think he would be better off if Ethereum was successful and the Bitcoin community was divided? 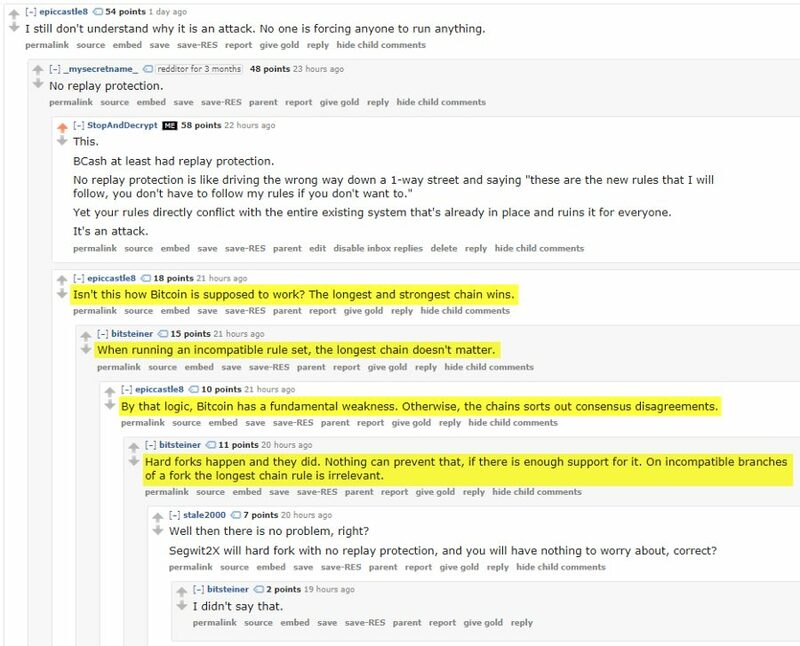 So basically, he’s still (or was in August) in support of SegWit2X going ahead with it’s dead in the water chain split, because if Bitcoin works as planned, it won’t matter… While other companies continue to back out of the agreement they originally signed with the intent to keep everyone together, but now because of Bitcoin Cash, the whole agreement is moot. Other Realities: Civil war, peaceful secession. 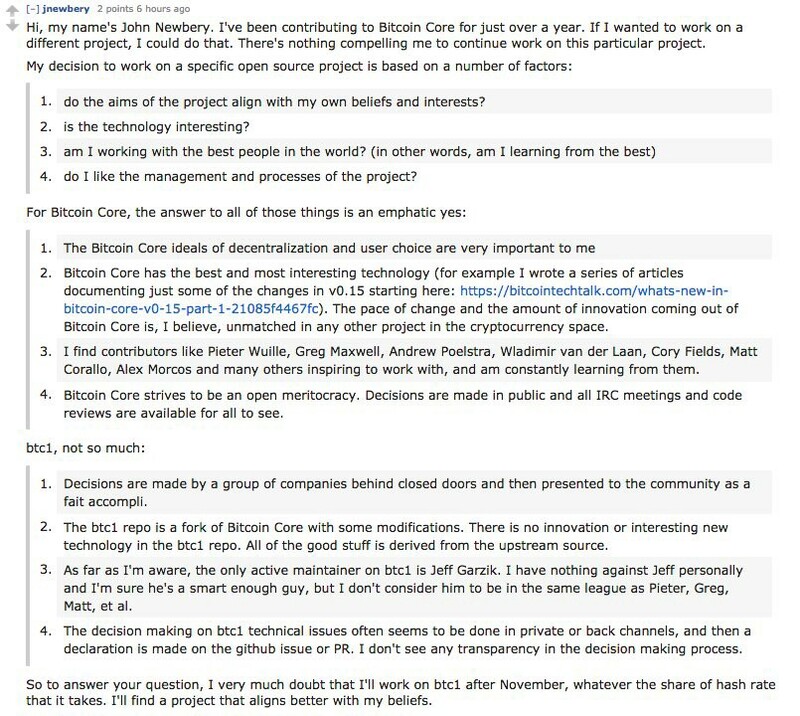 Much further down this thread, after some work, this person admitted to not caring what the masses eventually called The Bitcoin, claiming it doesn’t matter. It was the only thing we agreed on, and renders the whole conversation they had with Charlie moot, but readers don’t know that if they don’t follow through with the entire dialogue. The initial top level comment is all that matters because it gets the most visibility. When Bitcoin activated SegWit, it was a protocol change, not a re-org. Bitcoin Cash was a protocol change, not a re-org. 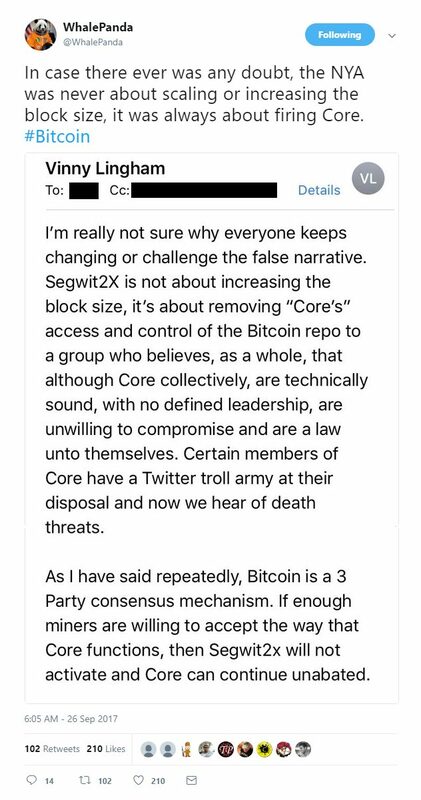 If Jeff Garzik’s baby-child SegWit2x actually gets off the ground and forks away, it will be a protocol change, not a re-org. Ethereum was a protocol change (that happened to involve creating an entirely new transaction database)… …not a re-org. No, not really. Re-orgs happen all the time without any change to the protocol. It’s a built in client mechanism that has nothing to do with upgrades, or claim to the title of The Bitcoin. The key is understanding that some protocol upgrades try to leverage re-orgs (soft-forks), while other protocol upgrades attempt to supersede re-orgs (hard-forks), and that neither of them are intrinsically bad for le Bitcoin, they just have their own use cases. Hopefully by now you’re starting to catch on here. 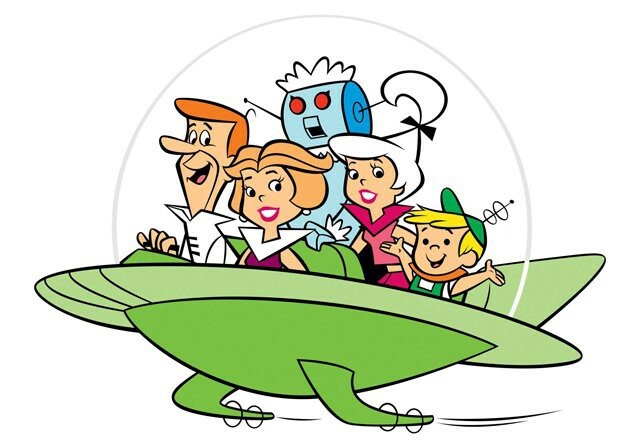 Protocol upgrades are inherently social in nature. The naming conventions assigned to those changes are also inherently social in nature. Re-orgs are inherently not social in nature, or whatever the silly term is for network logic. I could look it up, but not doing so helps drive the point even closer to home, it doesn’t matter. Protocols don’t evolve on their own, and a billion re-orgs wouldn’t change a single line of code, so using it to justify your fork is a fallacy. So where am I really going with this all of this? Well, for starters, if you share my ideology, you need to share this post. The community will keep growing until everyone is the community. Education will never end. You can’t get frustrated, you need to learn how to properly source, reference posts & quotes, and ask the same basic thought provoking questions without being rude and saying/thinking “not this again”. Everybody is new to the community at some point, and this won’t end. Ever. Period. Will you tell your kids “not this again, just look at the github”? No. I don’t expect everyone to do this. I don’t expect everyone to have the time or the energy. That’s one of the reasons I put this post together and sourced a bunch of quotes from various members of the community. The least you could do is reference this when someone asks you “what do you mean” by misinformation and lies. Equally important, and the original underlying theme this post was supposed to have, is understanding that at some point, Bitcoin might not represent itself in a way that aligns with your ideology. If these misinformation tactics prove to be successful, they’ll own the name Bitcoin. 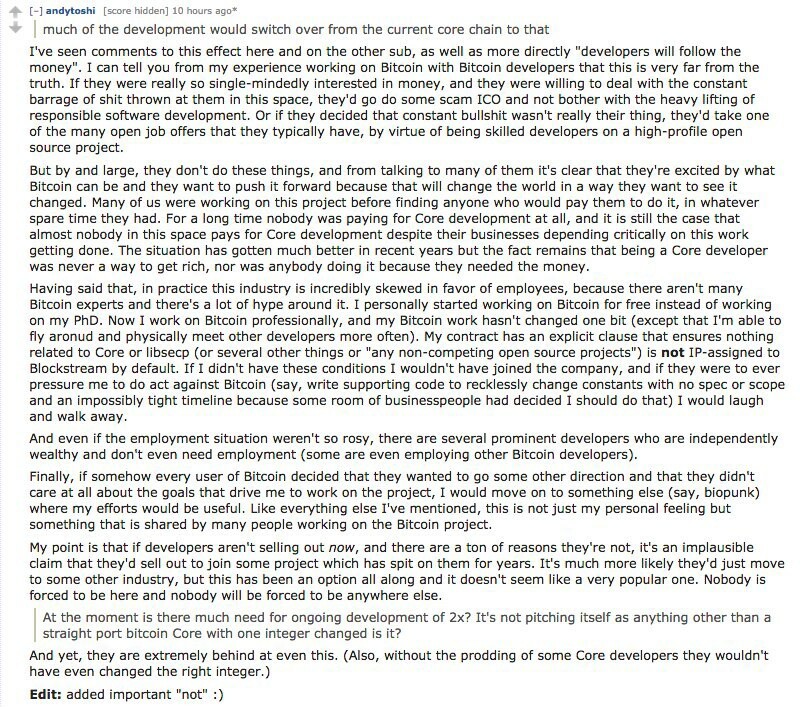 The developers are gone if that happens, they’ve all been pretty vocal about it too, either by moving on to a different projecting or continuing to support the chain that wasn’t stolen from us by the corporations, whatever name it winds up getting called (I’ll be calling it Bitcoin). Did that help clear things up for you? They can’t even agree between themselves, because all they care about is stealing the name or dividing the community.